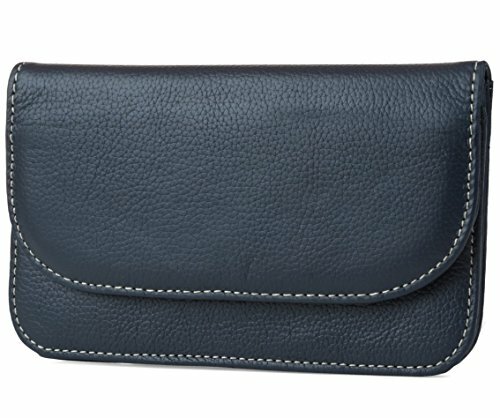 MUNDI SLIM FLAP ENVELOPE CLUTCH: This compact and minimalistic designed wallet is the ideal accessory to keep you organized, looking stylish and protected with RFID Blocking technology. RFID BLOCKING TECHNOLOGY: Every Mundi RFID blocking clutch wallet is manufactured with RFID blocking technology. Now you don't need to worry about thief's steeling your credit cards, debit cards or driver's license information. Wireless identity theft, also known as contactless identity theft or RFID identity theft is a growing concern as more cards are enabled with RF-enabled technology. Be sure you are protected from these criminals and thieves with our RFID wallets for women. Our RFID Blocking wallet with checkbook storage will secure your Identity and personal information from RFID scanning devices, skimming devices and electric pickpockets. STYLISH AND FUNCTIONAL: The Slim FLAP RFID blocking envelope clutch wallet is the perfect wallet for women. With function and style combined into this compact wallet clutch you are ready to take on the day. Don't wait any longer, protect your identify with the Mundi Slim Flap Envelope Clutch Wallet Organizer today! 100% MONEY BACK GUARANTEE: If your are not happy with your purchase within 30 days we will refund your money no questions asked.